Athens welcomed the New Year with a fireworks display on the stroke of midnight following a day of celebratory events in central Athens. Hundreds of people ignored the bitter cold and joined the crowd that had gathered in the neighborhood of Thisio where the municipality of Athens was hosting music gigs to bid farewell to 2016 and welcome the New Year. 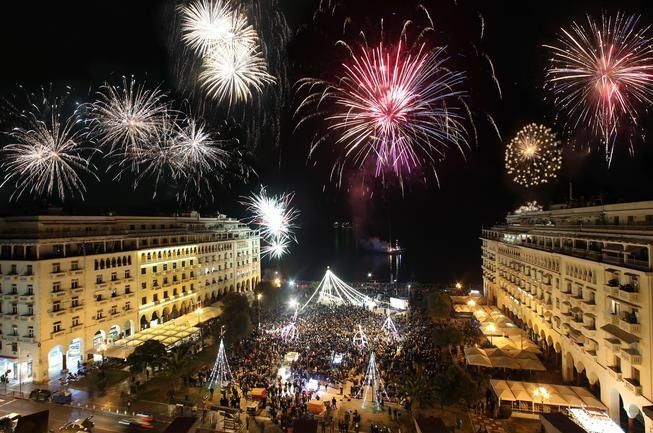 Thessaloniki welcomed 2017 with 3,000 fireworks and celebrations which centered on Aristotelous square.